When writing fiction, the writer always knows more than she shares with her reader. The unknown is what makes a story compelling. A writer carefully doles out information, one bite at a time. As a mystery writer, the one thing I absolutely cannot, must not, will not do is cheat. I have to play fair with my readers! You pick up a mystery novel because you want to try to solve the crime, and it’s my duty to make that possible. Not easy. . . but possible. 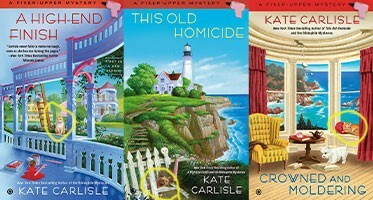 I’m Kate Carlisle, and I write two ongoing mystery series, The Bibliophile Mysteries and The Fixer-Upper Mysteries. (You may recognize the latter from Hallmark Movies & Mysteries.) 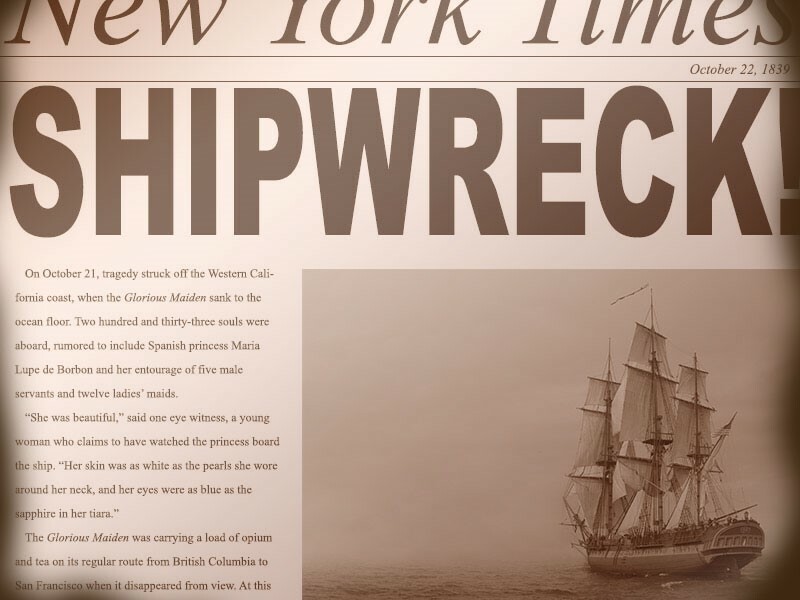 My latest book is A Wrench in the Works, and I bet you can guess from the title which series it’s in. By the time the murderer’s identity is revealed, you must have all of the information you need to identify the killer. It’s fine if you say, “How did I miss that?” after making a connection you didn’t make before—but only if you had all of the information you needed to be able to make that connection. I can’t spring something on you in the final scene. I can’t suddenly reveal that the murderer is someone who wasn’t even a suspect. Characters can lie, but I, as the author, must be truthful. I create several viable suspects, each with a strong motive for doing the deadly deed. Mystery readers are incredibly smart; you pay attention to the minutest of details. I love that! It means that I can toy with you. I can plant red herrings (clues that lead you in the wrong direction) and hide the real clues in plain sight. And then it’s up to you to weigh all of the evidence to see if you can figure out whodunit before the answer is revealed. In A Wrench in the Works, home contractor Shannon Hammer’s younger sister returns to Lighthouse Cove with a film crew in tow. Chloe left Lighthouse Cove years ago under mysterious circumstances. She took her construction skills to Hollywood, where she’s the star of a home renovation show. The show’s producer has such a toxic personality that several local homeowners and almost all the film crew members have good reason for wanting her dead—especially Chloe. My favorite compliment from readers is that I kept them guessing right until the end, and I think that happens because of the work I put into creating suspects with truly powerful motives for murder. The police aren’t wrong to suspect Chloe, but Shannon knows her sister is innocent and will do whatever it takes to save her from a life behind bars. When you’re reading a mystery novel, do you read along and just try to remember clues as you go? Or do you take notes and really try to puzzle out who is the killer? Do you stop before you reach the end and think of all the suspects? Guest Blog Post – When Is “Fake” Okay? In my latest Fixer-Upper Mystery, Eaves of Destruction, contractor Shannon Hammer has been hired by rival neighbors to beautify their homes for the hotly contested title of Best of Show in the annual Victorian Home and Garden Tour. One client is outraged when Shannon suggests they buy wood onlays to replace carved panels. Hardcover vs. Paperback: Which Is Better? 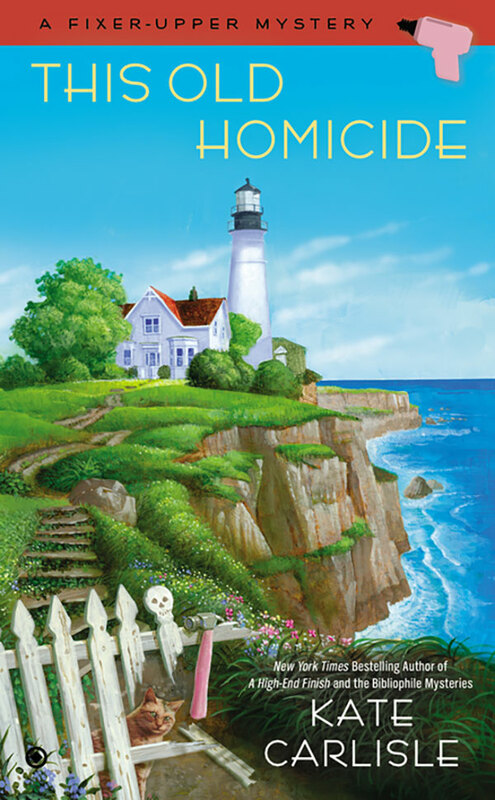 The first book in my Bibliophile Mystery series was Hardcover in Homicide, which, ironically, debuted in mass market paperback (and ebook, of course). In 2009, I was a new writer, so it made perfect sense to bring me out first in paperback, but the title caused a little confusion. Fast forward four years and seven books later. 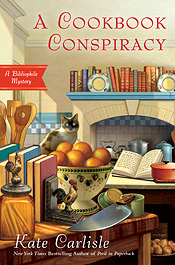 Enough readers had fallen in love with the Bibliophile Mysteries that A Cookbook Conspiracy was first released in hardcover, a real milestone in my career. BOOKS OF A FEATHER, in stores now, is the fourth of my books to debut in hardcover. My heroine, Brooklyn Wainwright, is a world-renowned bookbinder, and—in addition to a classic murder mystery—my readers love learning about the fascinating details about rare books. We are all, my readers and I, bibliophiles, who love not just the stories, but books themselves. Perhaps my audience is skewed toward appreciating the longevity and substantial nature of hardcovers. They look beautiful on bookshelves, and they withstand wear and tear of rereading much better, which is why libraries love them. Lots of my readers like to reread my mysteries, to look for clues they missed the first time around and laugh at the things Brooklyn and her quirky friends and family say and do. Paperbacks have a charm of their own. Lightweight, compact, inexpensive, they’re easy to impulse-buy and easy to carry. I don’t feel as bad when a paperback is damaged because there’s an impermanence about them. Which do you prefer, hardcovers, paperbacks, or ebooks? What do you love about them? BOOKS OF A FEATHER, available now in hardcover! New York Times bestselling author Kate Carlisle is a native Californian who worked in television production for many years before turning to writing. 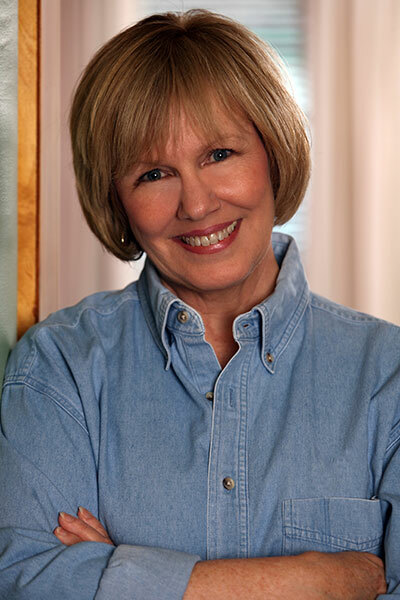 A lifelong fascination with the art and craft of bookbinding led her to write the Bibliophile Mysteries, featuring Brooklyn Wainwright, whose bookbinding and restoration skills invariably uncover old secrets, treachery and murder. 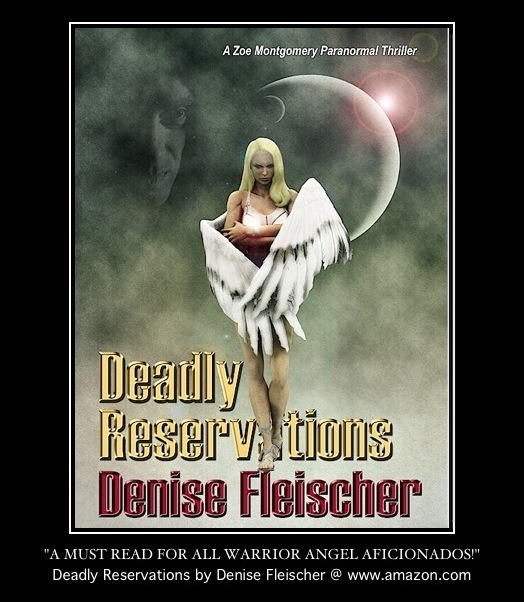 Her latest book is RIPPED FROM THE PAGES, available now in hardcover and ebook. Next time you visit the mystery section at your favorite bookstore, count the number of books that have cats on the covers. Although it might be easier to count the ones that don’t. 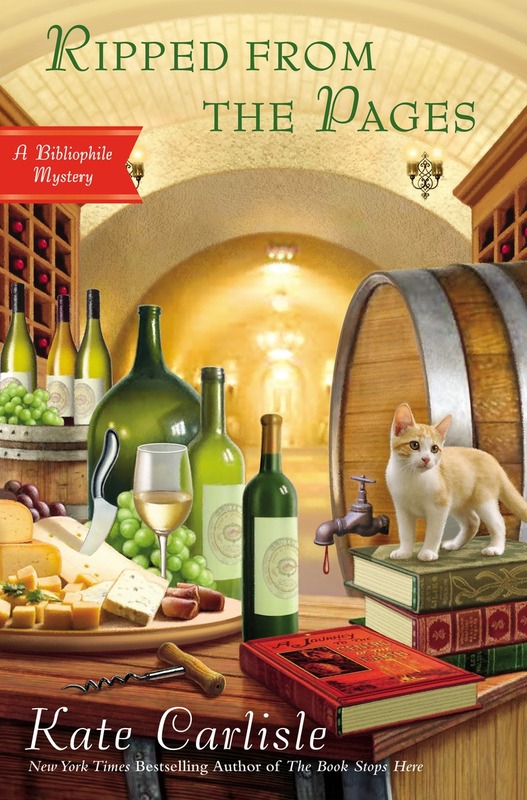 There has been a cat on the cover of every one of my Bibliophile Mysteries. And my Fixer-Upper Mysteries, too! And now there’s a cat on the cover of my latest book, Ripped from the Pages. Well… a kitten. The same kitten that appeared on the cover of The Book Stops Here last year because finally, Brooklyn Wainwright has a cat of her very own. Charlie (aka Charlemagne Cupcake Wainwright Stone, a weighty name for something so tiny and cute). Cats and cozy mysteries seem to go together, and I think it’s because cats are both mysterious and cozy. They don’t express themselves as openly and as enthusiastically as dogs do. Their love is not automatic—you have to earn it. You have to prove yourself worthy of being allowed the honor of petting a cat. Once you do win the love of a cat, that’s where the “cozy” part comes in. Can there be anything cozier than sitting in a comfy chair to read a good book, with a cat curled up in your lap? Their purr is hypnotic and almost magically disperses the stresses of the day. I’m going to have fun watching little Charlie grow up, and I hope readers will, too. Although the books are published about a year apart, much less time passes in Brooklyn’s world between books, which means that although Charlie was first introduced two years ago, she’s still just a kitten. Here’s a snippet from Ripped from the Pages so you can see how Charlie reacts the first time she meets a dog face-to-face. My parents’ next-door neighbors, the Quinlans, generously offered up their gorgeous French-style cottage for our use. They were off to Europe for three months. We offered to pay them rent, but all they required from us was that we take good care of their golden retriever, Maggie. Once we were unpacked and exploring the kitchen, Derek and I watched Maggie and Charlie sniff and circle each other for a few minutes. Finally, they seemed to agree that they could live in peace together. At least, I hoped so. Maggie ambled over to her bed and settled herself down on the fluffy surface. Charlie followed right behind her, clambered up and perched directly on Maggie’s big paw. Maggie stared at the tiny creature for a long moment and I prepared myself to whisk the cat away. But then Maggie let out a heavy sigh and closed her eyes. Charlie snuggled up against the big dog’s soft, warm fur and was asleep several seconds later. Derek and I exchanged smiles. I had a feeling we would all be very happy here. And now here I was, sitting in my mother’s kitchen on a bright, Monday morning, drinking coffee with Robin and listening as my mother tried to brush past the fact that I did indeed have an alarming tendency to come upon dead bodies in the strangest places. Luckily, that wasn’t likely to happen in Dharma anytime soon. Are you a cat person or a dog person (or both)? Share a cute story about a pet in your life.